College of Engineering Web Printing Service allows College of Engineering users to print from devices on the campus wired and wireless networks (Moobilenetx, Eduroam or UCDGuest). After login you will see a summary page, with your account balance and basic information about your print history. From the summary page click Web Print on the left side, then click Submit a Job. Locate and Select the printer you wish to print to from the list. 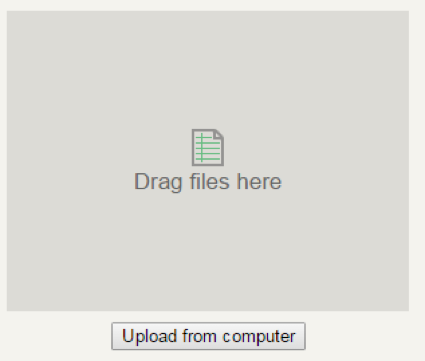 Drag and drop any of the supported file types to the Drag files here target, or use the Upload from computer button to find and select the files you wish to print. Once you have selected your documents press the Upload & complete button then wait for the status to show: Finished: Queued for printing. Then retrieve your print job.